With social media creating a “new avenue for threats,” federal authorities are cracking down on dangerous messages sent to government officials. U.S. Capitol Police have testified that investigations into threats against lawmakers nearly doubled from 2016 to 2017. Kenneth Kohl, deputy chief of the National Security Section of the U.S. Attorney’s Office for the District of Columbia, said requests to open investigations have nearly doubled in recent years. Three years ago, his department averaged five to six requests a week. That's now up to as many as 10 weekly. The majority of the threats are posted online or through other electronic means. Kohl said the goal isn't to prosecute free speech but to investigate and prevent potential harm. Reps. Steve Scalise, R-La., and Anthony Brown, D-Md., and Michael Collins, the chief of staff for Rep. John Lewis, D-Ga., talk about the rise in threats against lawmakers and their staffers. “We don’t prosecute people for merely engaging in heated political rhetoric," he said. "The words must be intended as a true threat." According to law enforcement, threats now occur on a daily basis, becoming a way of life for the nation’s elected leaders. U.S. Capitol Police pursued 950 cases in the first half of 2017 alone — eclipsing the previous year’s totals. USCP declined to provide 2018 data. 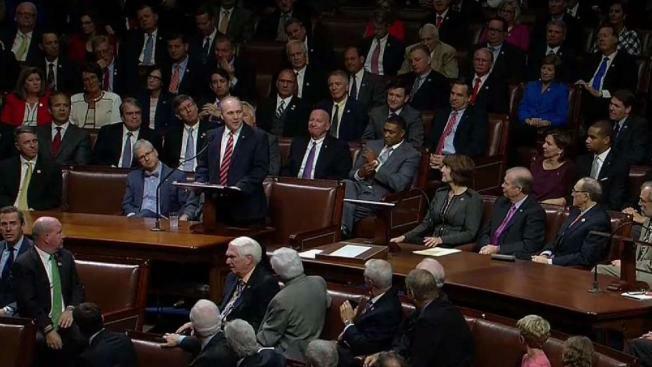 House Majority Whip Steve Scalise, a Louisiana Republican gravely wounded when a gunman opened fire on lawmakers during a baseball practice in June 2017, said he still receives threats. "You don't see enough people speaking out against it," he told News4, adding: "Leaders on both sides — Republican or Democrat — need to speak out no matter who it is." 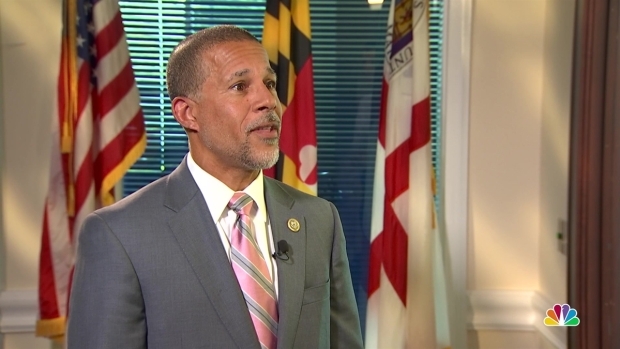 Maryland Rep. Anthony Brown, a Democrat, said his office has also witnessed an escalation in "vitriol" and "harsh language." He’s called authorities several times this year because of messages or posts sent to his office. In one, a caller probed about the congressman’s home, “which leads me to believe not only would I be at risk, but my family as well,” he said. The surge affects not only federal officials and their families, but also congressional aides and other federal employees, who are often tasked with sifting through calls, emails or social media posts. "There are so many different times and ways in which ... threats come into our office,” said Michael Collins, the longtime chief of staff to Rep. John Lewis, D-Ga.
Last year, authorities prosecuted an Atlanta man for threatening members of Lewis’ staff. The man threatened to murder Lewis’ district director and made sexually explicit threats to women who answered the congressman’s office phone, Collins said. They called in counselors to help deal with the stress. "Unfortunately, this had a detrimental effect on our staff,” he said. Prosecution cases vary in severity. In June, the FBI arrested a California man for emailing death threats to Federal Communications Commission Chairman Ajit Pai, including threats to harm his children. Markara Man, 33, told authorities he hoped his emails would convince Pai to change his stance on net neutrality. He pleaded guilty in August and is now awaiting sentencing. In another instance, an Alexandria man was sentenced to probation after pleading guilty to sending threatening tweets to a handful of Republican senators regarding gun laws. Kyler Schmitz, who said he’s vehemently anti-gun, said he was so shaken by the shooting massacre at an Orlando nightclub in 2016 that he took to Twitter to vent. But authorities say he eventually took it too far. Using what he called a parody account and gif images of guns, Schmitz tweeted at Missouri Sen. Roy Blunt, a Republican who took campaign contributions from the National Rifle Association, a threat to “shoot you in the face” and “watch your brains splat,” among others. Schmitz said he believed the totality of his tweets — including those stating he "would never buy a gun" and supports greater restrictions on gun access — made it clear he wasn't serious, something he told law enforcement when they first warned him about his messages. "The point of my tweets was to show how dangerous guns are in a way that I think was not dangerous,” he said. Authorities disagreed. Now, Schmitz is cautioning others to learn from his mistake, telling News4 that what he saw as an act of satirical political protest over the nation’s gun laws instead landed him with a record. His advice to those who want to vent online: “Careful what you tweet." Reported by Scott MacFarlane; produced by Katie Leslie; and shot by Steve Jones, Jeff Piper and Evan Carr.